According to the Wikipedia entry on Natural History it is defined as "... the study of organisms including plants or animals in their environment, leaning more towards observational than experimental methods of study". Natural history is one of the most venerable threads of observational science with roots that can be traced back to Aristotle. The Natural Histories Project is an interesting collection of conversations on what natural history means, hosted by the Natural History Initiative - "a collaborative platform for revitalizing and re-imaging natural history in the 21st century. We are a loose coalition of individuals and institutions dedicated to a re-emergence of natural history". 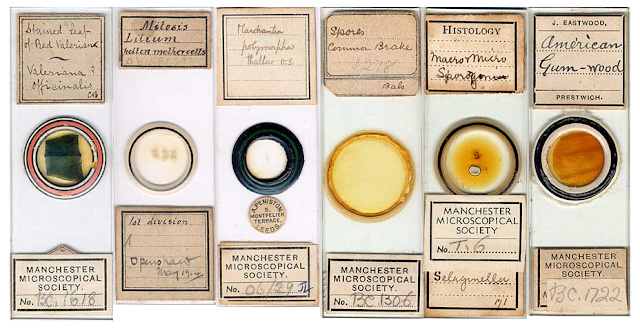 A less west coast form of natural history, and definitely more hands on, is the Manchester Microscopical & Natural History Society, founded in 1880. Here is an image from their collection of historical microscope slides.